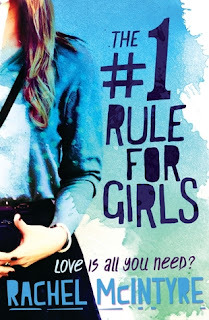 I have with me today author of the YA Novels, Me and Mr.J and The #1 Rule for Girls with a guest post on young adult fiction in the world today and a giveaway! How do I define YA? Ah, that’s a slippery question. A rule of thumb is that the main character is usually the same age – give or take- as the intended audience. Why do so many adults read it? I can’t speak for the many, many other adults who read YA, but the reason I love it is because of the scope. It (and this is just my opinion) is just so much broader than adult fiction. The themes, the characters, the situations in sci-fi, fantasy, romance, dystopias and hybrids of these in a multitude of combinations. Adult fiction seems much more cautious to me. And that’s why I chose to write as well as read YA: it’s an exciting genre with room for every type of book. One of the truly beautiful things about YA fiction is its diversity and I think there’s room within that for characters from all walks of life. Hmmmm. No…and maybe also yes. In the same way younger readers can read fiction aimed squarely at adults, theoretically, anyone should be able to read YA. Except…is there a danger writers may adapt their writing if they’re conscious of this? I’m not sure. But it would be a shame if YA and adult merged completely. As an author, the 55% Rule has occasionally made me pause. When I write, I have a very specific audience in mind, a kind of “ideal reader” and I’m aware that not everyone who buys my books is a 15/16 year old working class girl from the north of England. If someone out of my target demographic wants to read my work, thank you! That makes me happy. But is that going to make me change the way I treat certain themes or the language I use? No..
Shall I tell you something that really bugs me? People who describe YA as a guilty pleasure. If you like something, you like it. There’s no need to feel guilty. I’ve never been asked my age in a bookshop and until that happens, I’ll carry on reading YA. What’s the future for YA? Inclusivity and diversity are the buzzwords currently and it’s fantastic to see every class, ethnicity, gender and sexuality represented. Issue- based fiction is incredibly popular and this is great; the exploration of challenging situations is one of YA’s absolute strengths. What would I like to see? Maybe more humour. Sometimes I want to feel moved by a book, but sometimes I just want to have a laugh. I think that’s why the comedy-drama genre appeals to me. The #1 Rule for Girls is a book that tackles toxic relationships, but it’s also a funny book. Blurb Description: Daisy knows a thing or two about love and romance. She’s surrounded by it – in fact, there’s no escape! Not only are her parents childhood sweethearts turned soulmates, they also run the very successful wedding agency 'Something Borrowed', helping couples to tie the knot in whatever frilly, quirky, tasteful, outrageous way they choose. So it's no surprise that Daisy has a pretty clear vision of how her life with boyfriend Matt is going to pan out. An irresistable exploration of post break-up life featuring Rachel McIntyre's trademark wit and observation. I hope you guys enjoyed Rachel's guest post! In a few hours, I'll post another post, so please do come back for that! I hope you guys are having fun on the Blogaversary!